Last Sunday, B went with me to c|Life's Kaufman campus for our special needs class, Valuable. The classroom for Valuable is right outside of the room we use for large group worship and teaching time for the K-5 crowd. We didn't go out for the worship and, honestly, I can't remember what B heard that made him open the door but I'm so glad he did! During May, we've been learning about the life of Job. First we learned about how Satan took away everything he treasured plus gave him sores all over his body. Yuck! But Job held fast to God. Next, Job's friends were awful to him. They told him he must have sinned for God to punish him that way. But Job held fast to God. Last Sunday's lesson focused on the fact that God will never leave us. That is such an important truth for all of us. Sometimes, life is not going our way. We have been brought low. We feel alone, as if no one cares for us. We struggle to see how God could be working in this situation. Surely we've done the one wrong thing that caused God to turn his back on us. We can't see Him in our situation. During large group, Ms. Crystal used an air cannon to demonstrate to the kids that God is powerful even though we can't see him. She fired the cannon into the air. "Did you see anything?" she asked. "No!" came the chorus. Then she asked for a volunteer. Hands shot up. The first volunteer came forward. Crystal asked him to put a plastic cup on his head and stand in front of the air cannon. She fired again and knocked the cup right off his head! She asked for another volunteer. B was jumping up and down. Crystal asked if it was alright with me. It surely was! B was able to join in the fun on the stage and learn that God is powerful even though he can't see Him. Crystal eventually got 2 more volunteers and knocked 6 cups off of 6 little heads with that air cannon. All the kids were in awe. They could see how the air was working to knock off the cups even when they couldn't see the air. Believing God, accepting Jesus as our savior and yielding to the leading of the Holy Spirit is full of a lot of heady concepts. There is a lot of believing and trusting. And the words we use to describe the experience of becoming and being a believer are abstract. The whole thing relies on things not seen. This can be a struggle for people with autism. Many of them prefer concrete thinking that makes sense in the here and now. Crystal's air cannon helped B make sense of the fact that God is powerful even when we can see Him. 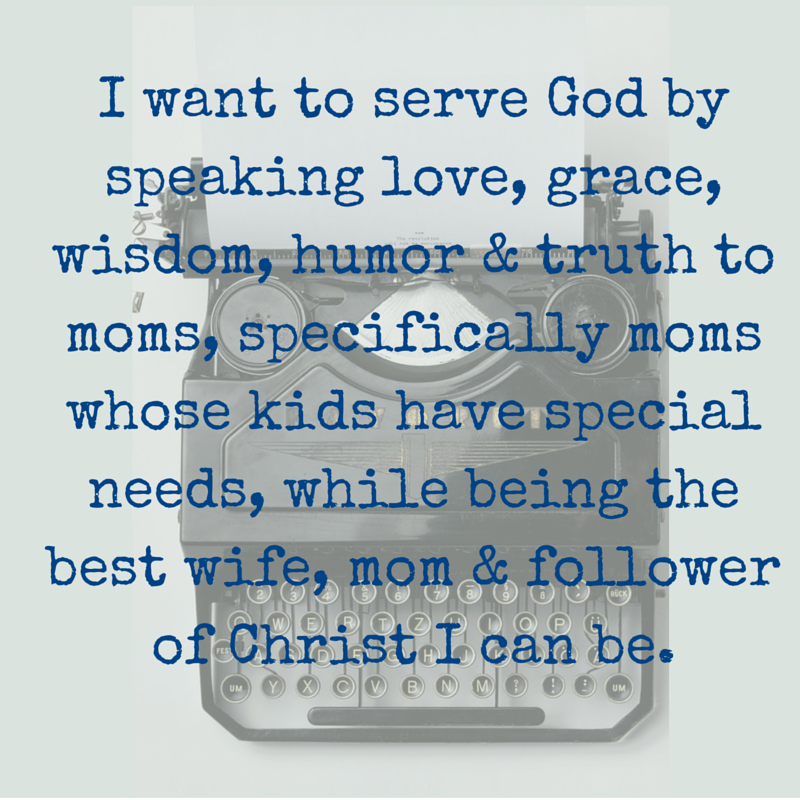 Every week I pray that we can make these truths clear to the kids in our Valuable class. And I know that God hears our prayers. He is making a way to bring everyone to Him. He wants us all. He wants to touch every heart. He speaks everyone's language. I love this picture from right after the cups were blown off. B is literally off the ground with excitement!